An eye for good design and classic lettering goes back to Bethany Joy Thames’ childhood, when she played with her mother’s angled calligraphy pens and began crafting a skill that would eventually lead her to launch Joy Unscripted – a business dedicated to hand-lettering for weddings and special events. Specializing in lettering that is perfect for invitations, signage, place cards, programs, and more, Bethany uses her lifelong skill to add a unique flair to ceremonies and receptions. Through Joy Unscripted, Bethany provides a large variety of pieces for clients, including beautifully-scripted invitation suites and hand-addressed ‘Thank You’ cards. But her favorite thing to do for brides to make their special day unique? Bethany opened Joy Unscripted in April 2016 after attending the Modern Calligraphy Summit and learning new techniques which honed her hobby into a skill that she now uses professionally. As a small business owner in the Asheville community, Bethany dedicates personality, individualism, and creative personalization to her work, which is recognized by all of her clients. 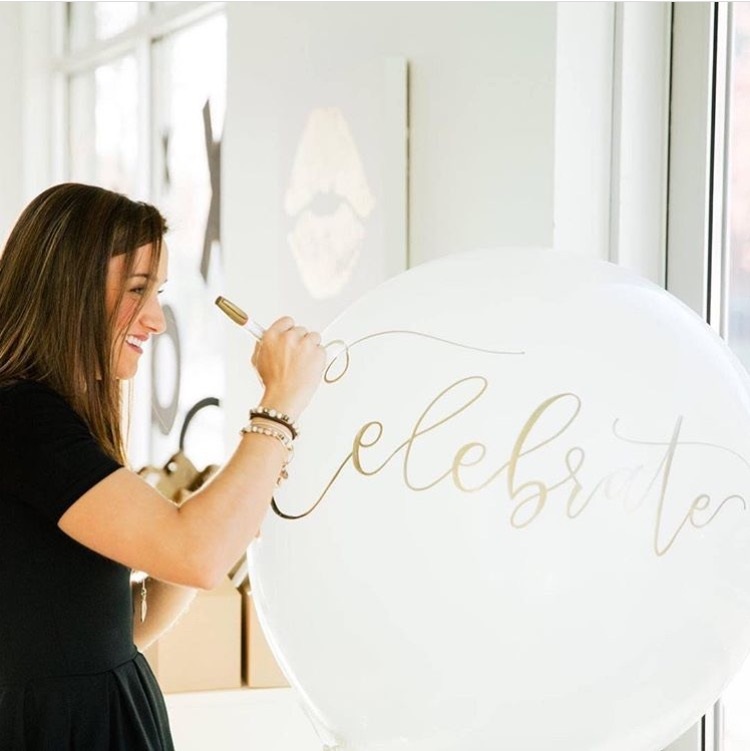 With a background and degree in engineering, Bethany is able to bring a flair and professional edge to her work that makes her hand-lettered signage and invitations look clean and professional while maintaining artistic integrity. Bethany’s ideal clients are those looking for a way to express an inner thought or message in a beautiful presentation. Whether that is a business logo or website for a new entrepreneurial venture, or custom invitation suites for a wedding or other event, Bethany loves getting to know clients a little more than just a digital “tell me what you want” so that she can capture elements of their personality and style into her work. · Hand Lettering (typically 3 hours): how to hold brush pens, basic strokes, letter formation, faux calligraphy tricks, intro to flourishing. · Pointed Pen (typically 3-4 hours): how to use straight/oblique holders, nib prepping, basic strokes/drills, letter formation, intro to flourishing. · Chalkboard (typically 2-3 hours): seasoning a chalkboard, letter practice, layout tips and tricks, banners/florals, final inked in chalkboard. · Coming soon: intermediate hand lettering. For more information on these courses, which are typically held at the Engaged Asheville studio, visit or follow Joy Unscripted via any of the links below. Upon the opening of Chestnut Ridge, classes will be available at the venue for those who have an interest in learning, or as a fun social event for bridal parties. Bethany is excited to partner with Chestnut Ridge to provide hand-lettered signage and other custom materials for brides. Joy Unscripted and Chestnut Ridge have the same eye for detail and class, and partnering will allow them to create the perfect outcome for the big day. Check out more of Bethany’s gorgeous work here, or follow along on social media: Facebook or Instagram. To book Joy Unscripted’s services, contact Bethany at bethany@joyunscripted.com or fill out a contact form on the Contact page of her website. The perfect wedding cuisine: it’s what your guests will gather around once they’ve witnessed your love and commitment, and not only should it be delicious, it should represent you.